Non-profit organisation, Mowgli Mentoring has kicked off its global expansion strategy by establishing its presence in Sub-Saharan Africa (SSA), making its geographic focus in Africa. The company which has been predominantly working in the Middle East and North Africa drives inclusive economic and social change by empowering entrepreneurs, women and youth through their unique, accredited mentoring methodology. Over the past decade, Mowgli has trained more than a thousand mentors who have supported entrepreneurs from all sectors. These entrepreneurs create and safeguard jobs, producing a significant economic and social return on investment. Mowgli’s recent expansion into SSA will be supported from Kenya, which will host the organization’s regional headquarters as they also increase their focus to women and youth as key additional beneficiaries of their programs. The organization which was featured as an expert contributor in the recently released Sage Handbook of Mentoring has already begun making its mark in the entrepreneurial ecosystem in SSA having already partnered with the first youth focused agribusiness incubator in Ethiopia, blueMoon Ethiopia whom they are supporting by facilitating a mentoring program for the high growth agribusiness incubators. Entrepreneurs, women and youth still continue to face various psychological, societal and cultural challenges that impede their growth and realisation of their potential. Mentoring is a key component of human capital development as it works to boost productivity and the success of entrepreneurs who, as statistics show, are the key drivers of job creation. Mowgli’s vision is to create a world in which everyone is able to fully realise his or her potential to leave the world in a better place. 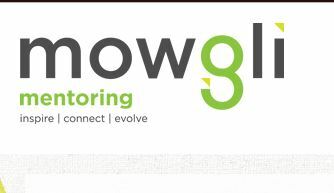 To achieve this, Mowgli is successfully building the recognition of mentoring as a key enabler for developing human capital and is developing active and high-quality mentors with the ultimate goal of supporting the creation of one hundred thousand jobs by enterprises started by Mowgli Mentees, by 2030 globally.